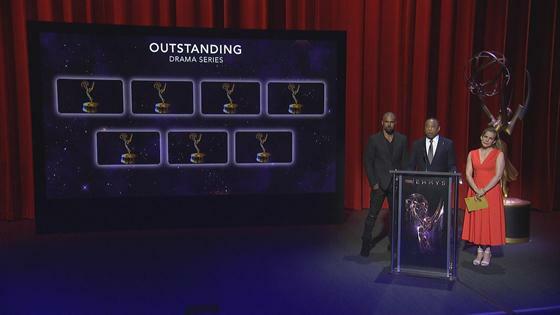 The Emmy Awards extended welcoming arms to dozens of stars for the first time in their careers. From This Is Us' Milo Ventimiglia and Chrissy Metz to The Handmaid's Tale's Samira Wiley and Alexis Bledel, 43 individual stars earned their first Emmy nominations this year. The nominee pool also featured a handful of movie stars who switched gears to television this year, notably Big Little Lies cast members Reese Witherspoon, Alexander Skarsgårdand Woodley as well as The Wizard of Lies' Michelle Pfeiffer and De Niro. To note, this figure does not include first-time nominees in technical categories.